Another beautiful box of vegetables from Epicurean Supplies and a fair few zucchini. So I thought I would get in early with some zucchini inspiration as even if you only have 1 or 2 plants a gluts of zucchinis cannot be too far away. So I checked out Yotam Ottolenghi, my new favourite destination for vegetable inspiration, and came across this lovely little treasure. 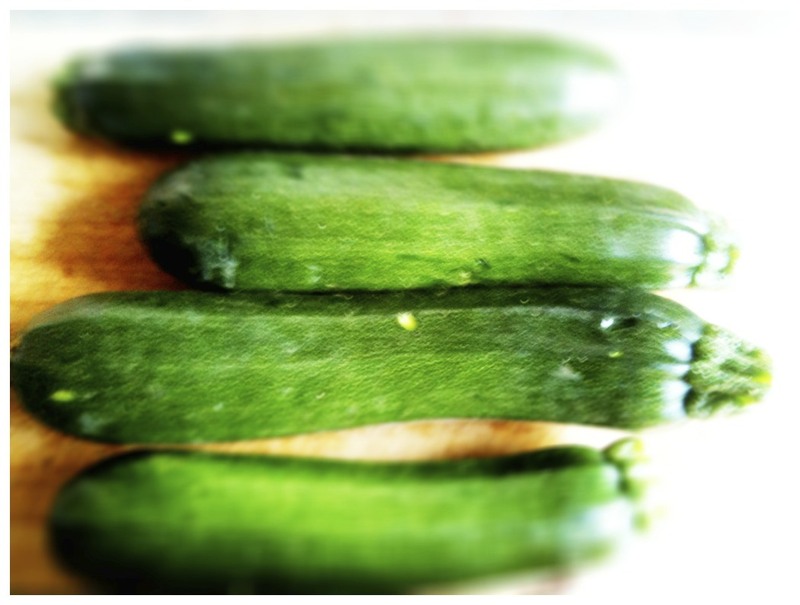 So here is zucchini inspiration #1. My zucchini have a wee way to go but before I know it I will likely be out the door with zucchini so if you have any zucchini inspiration send it my way! 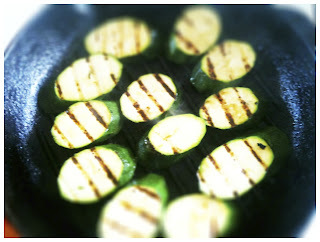 Zucchini: best cooked quickly, so steaming, sauteeing, stir frying or grilling work really well. The are also good raw, thinly sliced or grated. Zucchini likes: butter, olive oil, garlic, onion, lemon, cheese (feta, Parmesan, Pecorino), anchovies, vinegar, pine nuts, almonds, currant, basil, mint, oregano, thyme and parsley. This made an elegant little appetiser pre roast dinner on Sunday. Yotam used cobnuts, native to Kent, England with a very short season from mid-August to October so a little hard to come by here in Auckland! 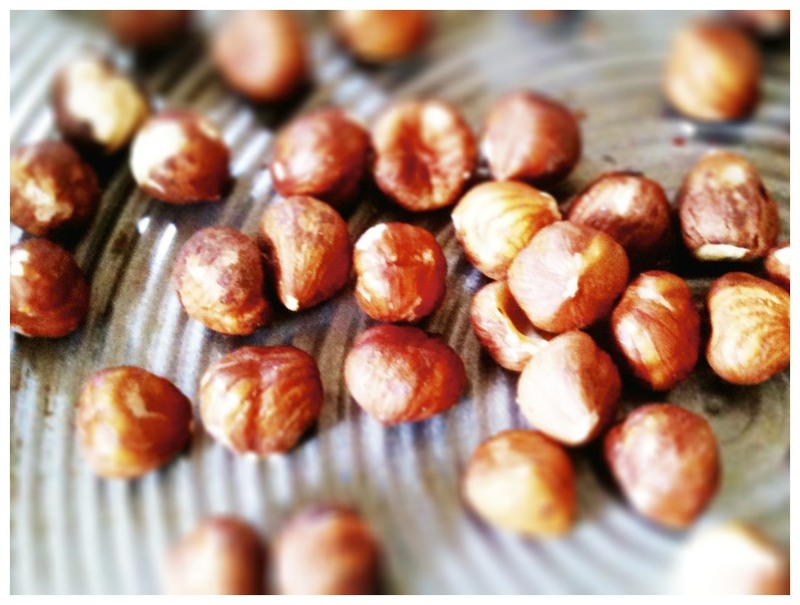 His recommended alternative was hazelnuts which I love. Zucchini & Hazelnut Salad, from Plenty by Yotam Ottolenghi with minimal tweaking. 30g mixed green and purple basil leaves, I only had green to hand but the purple would make it even prettier. Preheat the oven to 100C. Scatter the nuts over a baking sheet and roast for 12-15 minutes, or until just nicely browned. Let them cool down before chopping roughly or just crushing lightly with the side of a large knife. Place a ridged griddle pan on a high heat and leave it there until it is almost red hot - at least 5 minutes. 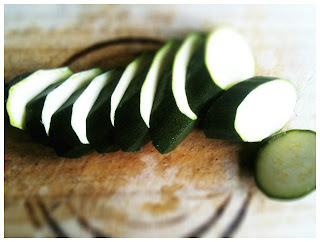 Meanwhile, top and tail the zucchini and cut them on an angle in to 1cm slices. Place them in a bowl and toss with half of the olive oil and some salt and pepper. Place the slices on the hot grill pan and char grill for about 2 minutes on each side, turn them over using tongs. You want to get distinct char marks without cooking the zucchini through. Transfer to a mixing bowl, pour over the balsamic vinegar, toss together and set aside. 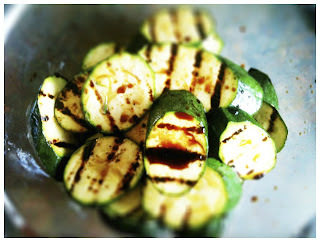 Once the zucchini have cooled down, add the remaining olive oil, basil and nut. Mix lightly, then taste ans adjust the seasoning accordingly. 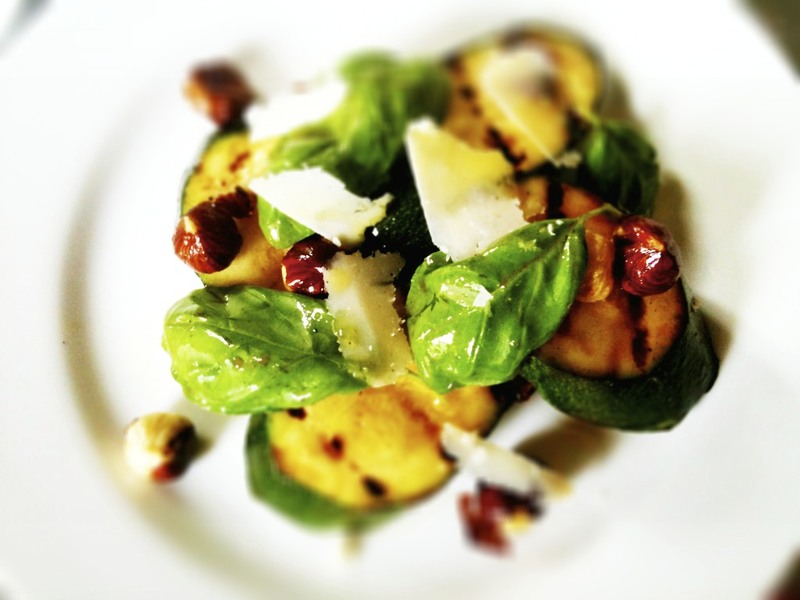 Transfer the salad to a flat plate, incorporating the Parmesan, ans drizzle over a little hazelnut oil. I plated up individually and used some really olive oil, which worked wonderfully, though I am sure a drizzle of hazelnut oil would take it to the next level or next time I might be tempted to try a wee drizzle of white truffle oil as I seem to like that on pretty much anything at the moment. It was fresh and light, the fragrant basil and Parmesan working wonderfully well with the zucchini and then the toasty crunch of the hazelnuts. Elegant simplicity at its best. The perfect prelude to Sunday roast....details to come soon. However I can tell you that potatoes roasted in duck fat are sublime! 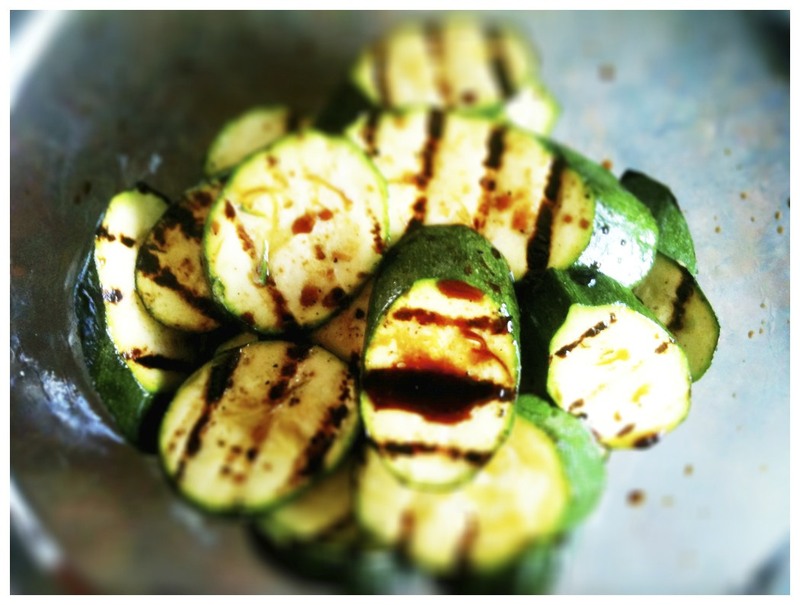 Great to get all these ideas of what goes with zucchini.